Emirates Aviation University (EAU), a leading institution in the Middle East for aeronautical engineering, aviation management,d business management and aviation safety and security studies, has been accredited from the European Aviation Safety Agency (EASA) as a Maintenance Training Organisation. The university is the academic wing of the Emirates Group; a global travel and tourism conglomerate known worldwide for their commitment to the highest standards of quality in every aspect of business. This official certification provides the university with significant recognition on the national and international level as the first educational institution in the UAE to have its Aircraft Maintenance Engineering Programme approved by EASA, in addition to the UAE General Civil Aviation Authority. Dr Ahmad Al Ali, vice-chancellor, described the EASA’s accreditation as a significant milestone for the Emirates Aviation University. "This will be warmly welcomed by our students and graduates who can now continue their education knowing that they will be awarded two certificates," he stated. “The accreditation will also allow us to expand our national reach and meet the changing needs of the aviation and education industries at a time when the demand for both is expanding globally,” he added. Emirates Aviation University is GCAA CAR 147 Approved Maintenance Training organization that allows its students to apply for the GCAA Basic Aircraft Maintenance Engineer License. 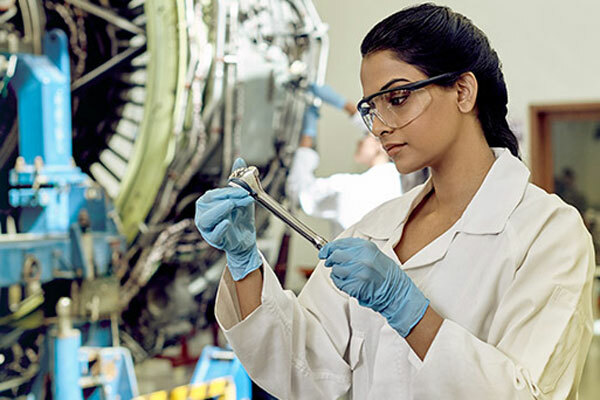 Receiving accreditation from EASA will pave the way for students to apply for a European Aircraft Engineer License provided that they fulfil the regulatory authority requirements. The European Aviation Safety Agency is the centrepiece of the European Union's strategy for aviation safety. Its mission is to promote the highest common standards of safety and environmental protection in civil aviation. The agency develops common safety and environmental rules at the European level. It monitors the implementation of standards through inspections in the Member States and provides the necessary technical expertise, training and research.